Today I want to introduce you to Alice Takes Back Wonderland by David Hammons. 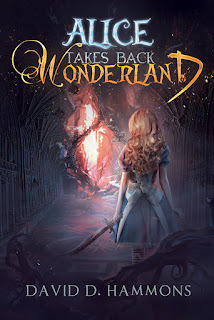 This is a fairy-tale mash-up that's getting some really fantastic reviews over on Goodreads and Amazon. I have to confess that I haven't read all the way through this one--work sometimes intrudes on my precious reading time--but I'm really looking forward to it. The first couple chapters are quite compelling! She’s come across another one of the vials that gave Clark is abilities, and it looks mighty tasty. Born of Treasure is available now!